I study the systematics of aquatic fungi, focusing on determining species diversity and monophyletic genera in the Chytridiomycota. This involves isolating and maintaining chytrids in pure culture, documenting developmental morphology at the light microscopic level, determining taxonomic characters from serial sections of zoospores viewed with transmission electron microscopy, and determining and analyzing molecular characters. I maintain a frozen culture collection of Batrachochytrium dendrobatidis, the chytrid pathogen of amphibians, and make cultures of this fungus available to other researchers. Davis, W.J., P.M. Letcher, J.E. Longcore, M.J. Powell. 2015. Fayochytriomyces, a new genus within Chytridiales . Mycologia (in press). Letcher, P. M., J. E Longcore, M. J. Powell. 2014. Dendrochytridium crassum gen. et sp. nov., a taxon in Chytridiales with unique zoospore ultrastructure. Mycologia 106: 145–53. Letcher, P. M., J. E. Longcore, M. J. Powell. 2014. Irineochytrium, a new genus in Chytridiales having zoospores and aplanospores. Mycologia 106: 1188–1198. Powell, M. J., P. M.Letcher, J. E. Longcore. 2013. Pseudorhizidium is a new genus with distinct zoospore ultrastructure in the order Chytridiales. Mycologia 105: 496–507. Hajek, A. E., J. E. Longcore, D. R. Simmons, K.Peters, R. A. Humber. 2013. Chytrid mycoparasitism of entomophthoralean azygospores. Journal of Invertebrate Pathology 114: 333–336. Vieira, C. A., L. F. Toledo, J. E. Longcore, J. R. Longcore. 2013. Body length of Hylodes cf. ornatus and Lithobates catesbeianus tadpoles , depigmentation of mouthparts , and presence of Batrachochytrium dendrobatidis are related. Brazilian Journal of Biology 73: 195–199. Blooi, M., F. Pasmans, J. E. Longcore, A. Spitzen-van der Sluijs, F. Vercammen, A. Martel. 2013. Duplex real-time PCR for rapid simultaneous detection of Batrachochytrium dendrobatidis and Batrachochytrium salamandrivorans in amphibian samples. Journal of Clinical Microbiology 51: 4173–4177. Simmons, D. R., J. E. Longcore. 2012. Thoreauomyces gen. nov., Fimicolochytrium gen. nov. and additional species in Geranomyces. Mycologia 104: 1229–1243. Schloegel, L. M., L. F. Toledo, J. E. Longcore, S. E. Greenspan, C. A. Vieira, M. Lee, S. Zhao, C. Wangen, C.M. Ferreira, M. Hipolito, A.J. Davies, C.A. Cuomo, P. Daszak, T. Y. James. 2012. Novel, panzootic and hybrid genotypes of amphibian chytridiomycosis associated with the bullfrog trade. Molecular Ecology 21: 5162–5177. Greenspan, S. E., J. E. Longcore, A. Calhoun. 2012. Host invasion by Batrachochytrium dendrobatidis: fungal and epidermal ultrastructure in model anurans. Diseases of Aquatic Organisms. 100: 201–210. Simmons, D. R., P. M. Letcher, M. J. Powell, J. E. Longcore. 2012. Alogomyces tanneri gen. et sp. nov., a chytrid in Lobulomycetales from horse manure. Mycologia 104: 157–163. Longcore, J. E., D. R. Simmons. 2012. The Polychytriales ord. nov. contains chitinophilic members of the rhizophlyctoid alliance. Mycologia 104: 276–294. Greenspan, S. E., A. J. K.Calhoun , J. E. Longcore, M. G. Levy. 2012. Transmission of Batrachochytrium dendrobatidis to wood frogs (Lithobates sylvaticus) via a bullfrog (L. catesbeianus) vector. Journal of Wildlife Dseases 48: 575–582. Gahl, M. K., J. E. Longcore, J. E. Houlahan. 2011. Varying responses of northeastern North American amphibians to the chytrid pathogen?Batrachochytrium dendrobatidis. Conservation Biology 26: 135-141. Steiger, R. A., D. R. Simmons, J. E. Longcore. 2011. Cylindrochytridium johnstonii. Mycotaxon 118: 293–302. Powell, M. J., P. M. Letcher, J. E. Longcore. 2011. Operculomyces is a new genus in the order Rhizophydiales. Mycologia 103: 854–862. Wakefield, W.S, M.J. Powell, P.M. Letcher, D.J.S. Barr, P.F. Churchill, J.E. Longcore, S-F. Chen. 2010. A molecular phylogenetic evaluation of the Spizellomycetales. Mycologia 102: 596-604. Schloegel, L.M., C.M. Ferreira, T.Y. James, M. Hipolito, J.E. Longcore, A.D. Hyatt, M. Yabsley, A.M.C.R.P.F.Martins, R. Mazzoni, A.J. Davies, P. Daszak. 2009. The North American bullfrog as a reservoir for the spread of Batrachochytrium dendrobtidis in Brazil. Animal Conservation 13: (Suppl. 1) 1-9. Krings, M., N. Dotzler, J.E. Longcore, T.N.Taylor. 2010. An unusual microfungus in a fungal spore from the Lower Devonian Rhynie chert. Palaeontology 53: 753-759. James, T.Y., A.P. Litvintseva, R.Vilgalys, J.A.T. Morgan, J.W. Taylor, M.C. Fisher, L. Berger, C. Weldon, L. du Preez, J.E. Longcore. 2009. Rapid global expansion of the fungal disease chyridiomycosis into declining and healthy amphibian populations. PLoS Pathogens 5(5): e1000458. doi:10.1371/journal.ppat.1000458. Freeman, K.R., A.P. Martin, D. Karki, R.C. Lynch, M.S. Mitter, A.F. Meyer, J.E. Longcore, D.R. Simmons, S.K. Schmidt. 2009. Evidence that chytrids dominate fungal communities in high-elevation soils. PNAS 106: 18315-18320. Simmons, D.R., T.Y. James, A. Meyer, J.E. Longcore. 2009. Lobulomycetales, a new order in the Chytridiomycota. Mycological Research 113: 450-460. Mozley-Standridge, S., P.M. Letcher, J.E. Longcore, D. Porter, D.R. Simmons. 2009. Cladochytriales: a new order in Chytridiomycota. Mycological Research 113: 498-507. Frias-Alvarez, P., V.T. Vredenburg, M. Familiar-Lopez, J.E Longcore, E. Gonzalez-Bernal, G. Santos-Barrera, L. Zambrano, G. Parra-Olea. 2008. Chytridiomycosis survey in wild and captive Mexican amphibians. EcoHealth 5: 18-26. Kirshtein, J.D., C.W. Anderson, J.S. Wood, J.E. Longcore, M. A. Voytek. 2007. Quantitative PCR detection of Batrachochytrium dendrobatidis DNA from sediments and water. Diseases of Aquatic Organisms 77: 11-15. Longcore, J.R., J.E. Longcore, A.P. Pessier and W.A. Halteman. 2007. Chytridiomycosis widespread in anurans of northeastern United States. Journal of Wildlife Management 71: 435-444. Morgan, J.A.T., V.T. Vredenburg, L.J. Rachowicz, R.A. Knapp, M.J. Stice, T. Tunstall, R E. Bingham, J.M. Parker, J.E. Longcore, C. Moritz, C.J. Briggs, J.W. Taylor. 2007. Population genetics of the frog-killing fungus Batrachochytrium dendrobatidis. Proceedings of the National Academy of Sciences USA 104: 13845-13850. Johnson, P. T. J., J. E. Longcore, D. E. Stanton, R. B. Carnegie, J. D. Shields, E. R. Preu, 2006. Chytrid infections of Daphnia pulicaria: development, ecology, pathology and phylogeny of Polycaryum laeve. Freshwater Biology 51:634-648. James, T.Y., F. Kauff, C.L. Schoch, P.B. Matheny, V. Hofsetter, C.J. Cox, G. Celio, C. Gueidan, E. Fraker, J.H. Maidlikowska, T. Lumbsch, A. Rauhut, V. Reeb, A.E. Arnold, A. Amtoft, J.E. 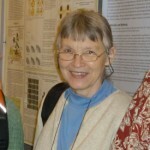 Stajich, K. Hosaka, G.-H. Sung, D. Johnson, B. O’Rourke, M. Crockett, M. Binder, J. M. Curtis, J. C. Slot, Z. Wang, A. W. Wilson, A. Schassler, J. E. Longcore, K. O’Donnell, S. Mozley-Standridge, D. Porter, P.M. Letcher, M.J. Powell, J.W. Taylor, M.M. White, G. W. Griffith, D.R. Davies, R.A. Humber, J.B. Morton, J. Sugiyama, A.Y. Rossman, J.D. Rogers, D.H. Pfister, D. Hewitt, K. Hansen, S. Hambleton, R.A. Shoemaker, J. Kohlmeyer, B. Volkmann-Kohlmeyer, R.A. Spotts, M. Serdani, P.W. Crous, K.W. Hughes, K. Matsuura, E. Langer, G. Langer, W.A. Untereiner, R. Lacking, B. Badel, D.M. Geiser, A. Aptroot, P. Diederich, I. Schmitt, M. Schultz, R. Yahr, D.S. Hibbett, F. Lutzoni, D.J. McLaughlin, J.W. Spatafora and R. Vilgalys, 2006. Reconstructing the early evolution of fungi using a six-gene phylogeny. Nature 443:818-822.? James, T.Y., P.M. Letcher, J.E. Longcore, S.E. Mozley-Standbridge, D. Porter, M.J. Powell, G.W. Griffith, R. Vilgalys. 2006. A molecular phylogeny of the flagellated fungi (Chytridiomycota) and description of a new phylum (Blastocladiomycota). Mycologia 98: 860-871. Letcher, P.M., M.J. Powell, J. G. Chambers, J.E. Longcore, P.F. Churchill, P.M. Harris. 2005. Ultrastructural and molecular delineation of the Chytridiaceae (Chytridiales). Canadian Journal of Botany 83:1561-1573.